I have two suggestions. One involves using a SamplePlayer and check whether or not it is playing. 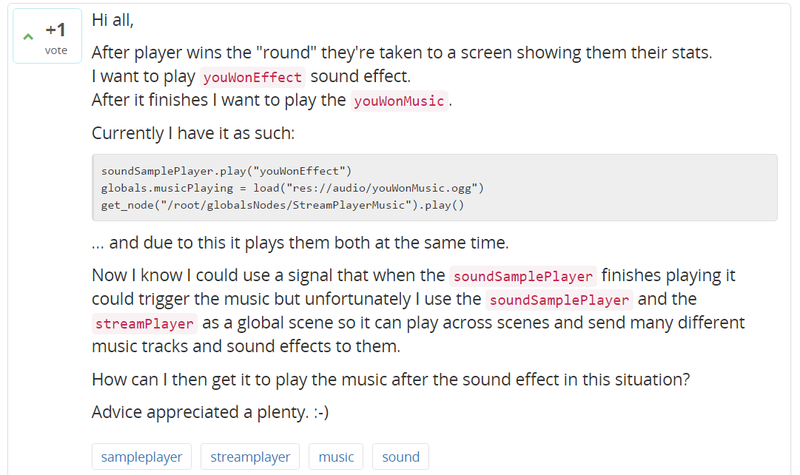 The other is to play the sound effect with an StreamPlayer and use the “finished” signal to trigger a play_music method upon completion.